Mark Strausman, "The Freds at Barneys New York Cookbook"
Barneys New York, with its flagship store on Madison Avenue, is a world-famous, cutting-edge fashion destination. And since 1996, Barneys’ restaurant Freds at Barneys New York – named after founder Barney Pressman’s son Fred – has been offering in food what Barneys offers in fashion: a luxury destination that provides a level of personal service second to none, and food that keeps their high profile clientele coming back for more. 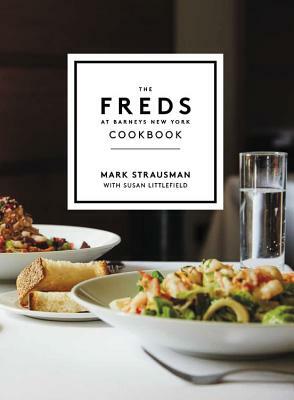 In THE FREDS AT BARNEYS NEW YORK COOKBOOK, Mark Strausman invites you into the kitchen of this restaurant institution and teaches you how to bring a piece of Freds into your own home. Whether it’s the Belgian Fries or Estelle’s Chicken Soup, Mark’s Madison Avenue Salad or Chicken Paillard, Traditional Bolognese or Cheese Fondue Scrambled Eggs, this cookbook commemorates all of the delicious recipes Freds has served over the years at the Madison Avenue, Chelsea, Beverly Hills and Chicago locations. Mark Strausman is a chef, restaurateur, and author based in New York. In 1996, he created Freds at Barneys New York for the Madison Avenue flagship store. Subsequently, he developed satellite Freds in Chicago and Los Angeles, and in Barneys’ new Chelsea location, and remains Freds’ Managing Director. He is the author of the James Beard Award-nominated Two Meatballs in the Italian Kitchen and The Campagna Table. If you're unable to attend the event and would like a signed copy of The Freds at Barneys New York Cookbook, please purchase the "Signed" version below.